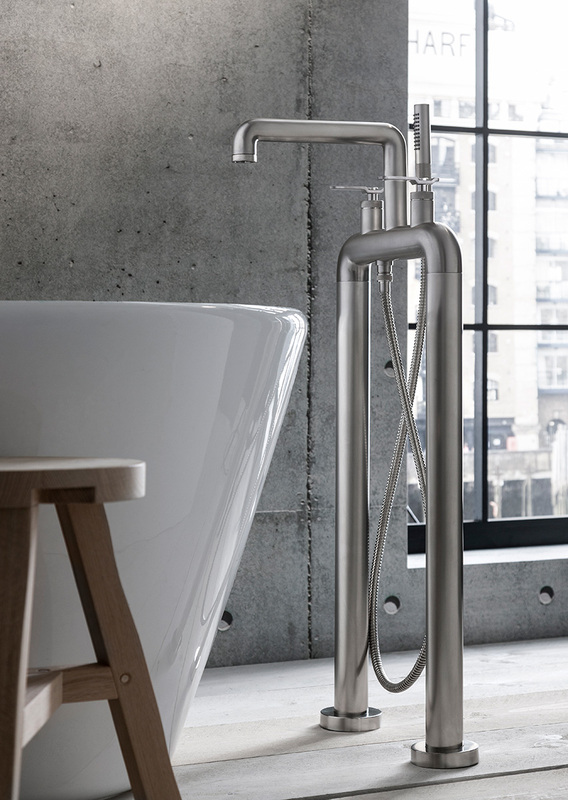 A complete range of taps for all bathroom needs, in polished brass or brushed chrome finish or painted matt white. Now available also painted in matt black. Polished or brushed stainless steel tapware comprising either external or recessed mixer tap sets. The program is complete with built-in liquid soap dispenser and built-in shelves always in polished or satin-finished stainless steel, designed to match wall mounted tap sets. A combination of Eastern spirit and Western technology, Sen incorporates multiple functions in a line of independent components which can be freely combined to make a distinct style statement, further enhanced by the striking texture of the brushed anodized aluminium, available black or in reintroducted version clear-grey. 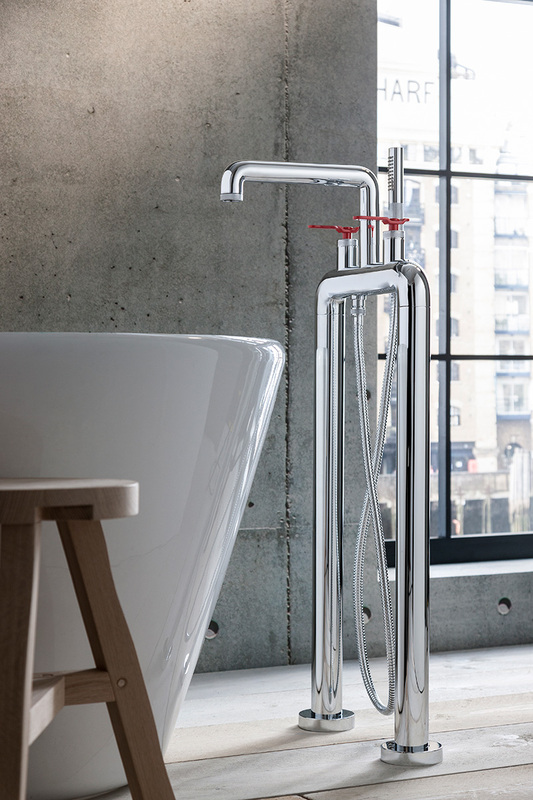 Sen’s minimal design is further interpreted in the single hole versions for washbasin, available in two eights for basin mounted mixer taps and one for a floor mounted mixer. Two proposals for the bathtub: a complete modular wall-mounted system of taps and accessories, or floor-mounted as a single, bold, essential element. Sen completes and customises the shower space with a horizontal element or a vertical column, which can be combined with complementary elements dedicated to this area of well-being and regeneration. Showerhead and hose made of anti-allergy silicone rubber, a material that makes them light, highly resistant to scaling, soft and flexible. They expand as water flows around inside before emerging to provide a gentle massage. Available in orange, green and grey, they brighten up shower taps and fittings. The Hydro water-powered brush provides a simple solution for cleaning the WC. The hand-held shower head is made from plastic material and available in chrome finish, or in Agape's characteristic orange or green. Flexible hose made from grey PVC, wall supports from polished chromed brass. Design to complement Agape's tap ranges.